About the Oglala Sioux: The Siouan language family, including Lakota-Dakota-Nakota speakers, inhabited over 100 million acres in the upper Mississippi Region in the 16th and early 17th centuries. Conflicts with the Cree and Chippewa, as well as the lure of the Great Plains’ buffalo herds, incited the Sioux to move farther west in the mid-17th century. The Lakota acquired horses around 1740 and crossed the Missouri River shortly after, arriving in the Black Hills in 1775. Shortly after their arrival in the Black Hills, the Lakota split into seven tribes, among which was the Oglala. The Lakota are one of the archetypal Plains Indians. They lived in organized bands, warred and raided, and depended on buffalo for food and clothing. 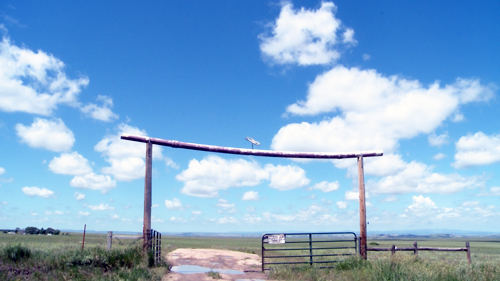 History of the Reservation: The terms of the Fort Laramie Treaty of 1868 placed the Lakota on one large reservation that stretched across parts of North Dakota, South Dakota, and four other states. After the defeat of the Indian tribes during the Indian Wars of the 1870s, the United States created several smaller reservations. In 1889, the government confiscated 7.7 million acres of the Sioux’s sacred Black Hills and assigned the Oglala to live on the Pine Ridge Reservation, which occupied 2.7 million acres. In 1890, government troops senselessly slaughtered over 300 Reservation residents, most of which were Elders, women and children, near Wounded Knee Creek. In the 20th century, the U.S. Supreme Court ordered the federal government to pay the Sioux tribes millions of dollars in compensation for illegally confiscating the Black Hills. The Oglala remain strong in their desire to have the Black Hills returned to them and refuse to accept settlement money. 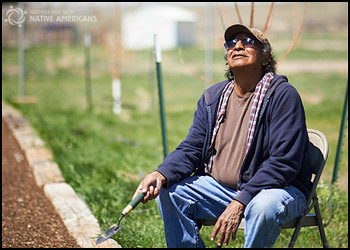 Life on the Reservation: The Pine Ridge Reservation has been designated as one of the poorest areas in the United States. The Reservation has few natural resources and no industry. Many residents travel more than 120 miles to Rapid City for seasonal employment. Tribal and federal governments provide the few jobs that are available on the Reservation: only one Oglala in five has a job. Medical care on the Reservation is inadequate, and many tribal members forego medical attention because of the long distance to medical facilities. In addition, housing on the Reservation also does not meet the tribal members’ needs. A severe housing shortage forces hundreds into homelessness while thousands of others live in overcrowded, substandard accommodations.